We had a great day at the Life Hub bowling alley here in Jinqiao. 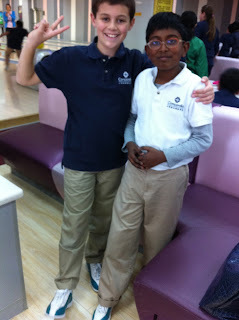 We brought about 50 students for each day 1/ day 2 cycle, and the students were able to bowl a full ten-frame game. They were so excited to put on the fancy shoes, and test out the weight of the bowling balls, and wipe down the ball with the alley-supplied hanky. It was extremely cute!! Special thanks to our vice principal who came along for the fun, and to our MS secretaries who helped make the arrangements.